Oh look, two nail shades perfect for Valentine’s Day! These shades are from a brand called Bellisimo. 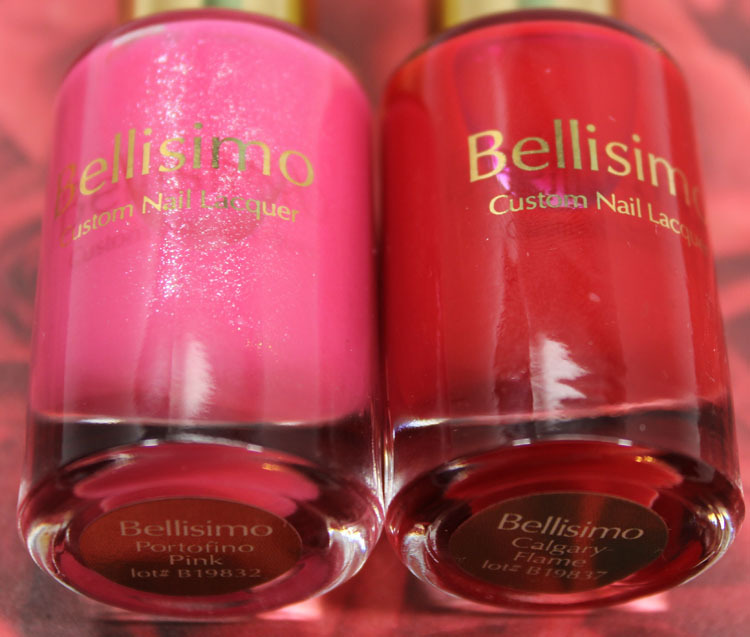 Bellisimo is an independent brand that focuses on a set of “foundational” shades rather than releasing seasonal collections. They are classic shades all packaged in heavy bottomed Italian glass bottles with gold caps. They are three-free and made in the USA. They also donate 10% of net profits to help single moms and their children with education opportunities. Alongside the six core shades they currently offer, they also have a Nourishing Base Coat and Glamorous Finish Top Coat. Portfolio Pink is a bright pink with pale pink shimmer running throughout. I did have some streaking issues with this shade, though I really love the fun color. It was a little on the thinner side so I used three coats. Calgary Flame is a bright true classic red creme. Actually it’s kind of a crelly formula. It’s extremely shiny and juicy looking. It covered nicely and very evenly in just two coats. Overall: I was sent all six of the shades for review but felt like these were the ones most of you would be interested in seeing and they are perfect Valentine’s Day colors, so it made sense. Overall I would give Portfolio Pink a 6 out of 10 because it was somewhat streaky for me, but I still love the actual shade. Calgary Flame I would say is an 8 out of 10. Nice classic red, great formula and super shiny. The one drawback for most people will probably be the price for the amount you get. This is a brand that’s more on the upscale level in terms of pricing. Pricing: $15.00 for 0.3 oz. 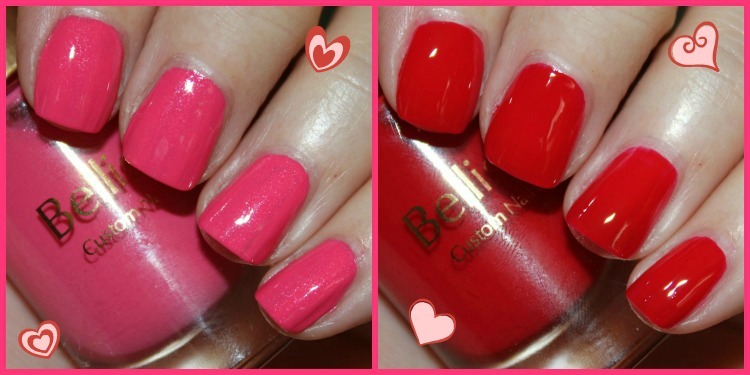 Any plans for a Valentine’s Day mani? What will yours look like? You probably know by now that I am a major movie buff. Well my movie watching mania gets especially amped up around Oscars season. I try and cram in as many Oscar nominated movies as I can before the show (March 2nd this year). So far I have seen Her, American Hustle, Gravity, Blue Jasmine, The Great Gatsby and The Hobbit: The Desolation Of Smaug. I will soon be reviewing a new app called MoviePass that is available and works in conjunction with about 95% of movie theaters nationwide. More soon!